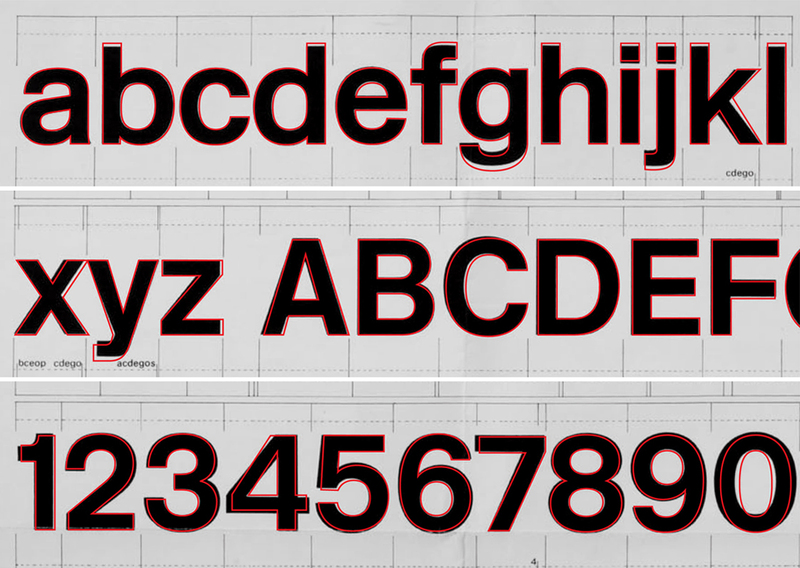 New Rail Alphabet is a revival of the British Rail alphabet designed by Margaret Calvert of Kinneir Calvert Associates in the early Sixties. Originally drawn in two versions, as a constituent part of an integral signing system, it first appeared in the United Kingdom’s National Health hospitals and, subsequently, British Rail and Danish Rail stations, followed by all BAA Airports. Now produced in six weights, Off White, White, Light, Medium, Bold and Black, with non-aligning numerals, corresponding italics, and a subset of Eastern European characters. Following classic principles, the Italic has a slightly narrower character width. The original alphabet, in the form of dyelines, was carefully traced and subtle adjustments made, including extended ascenders and descenders to aid legibility in smaller point sizes. Capital letters were thinned so they don’t spot out in running text. Ligning numerals made narrower an non aligning figures added to compliment the lowercase letters.